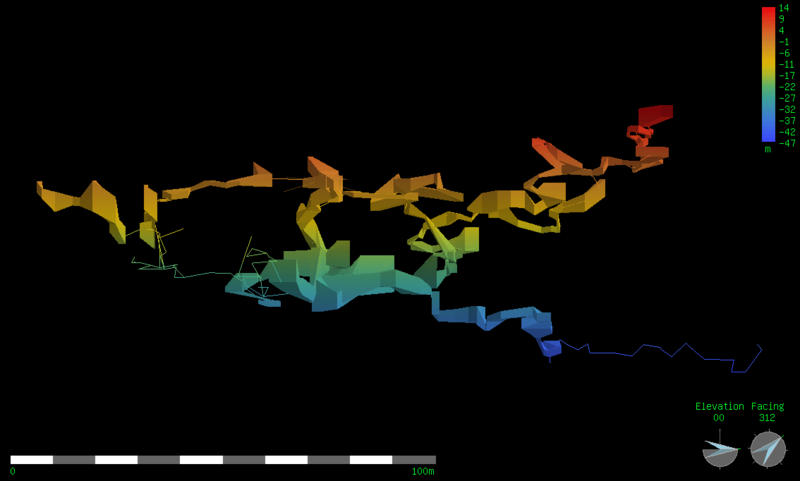 Today Manuela e-mailed the surveyed length of Gobholo Cave to CaverBob: 1099 meters, depth 62 meters. Thus number 8 on the list over the world’s longest talus, boulder and granite caves! The longest straight line distance between two survey stations are just 170 meters, and with many unsurveyed parallel passages together with the distance between the sink and resurgence of the cave stream being 1.8 km, well, I’m sure to see Gobholo Cave climbing to the top of the list over the next few years!